John "Calvin" King, 69, of Raleigh, went to be with his Lord and Savior Thursday, November 2, 2017 surrounded by family and friends at UNC Hospital in Chapel Hill. Calvin was born November 21, 1947 in Rocky Mount, NC. He was a graduate of Red Oak High School, Pitt Community College and was a veteran of the US Air Force. He was employed as a Product Engineer with Alcatel-Lucent and in the electronic/telecommunication field for over 39 years. 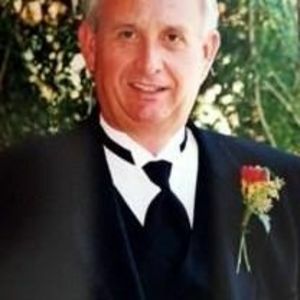 He was a devoted member of Swift Creek Baptist Church and a respected long-standing board member of Huntingwood Estates. His greatest joy was spending time with his grandkids; however, most times you would find him in "the yard", tinkering with the hobby car (1966 Corvette), or grilling if he wasn't escaping to the beach with the family! He is survived by his wife of almost 47 years, Jo Anne; daughter, Drs. Brooke Rawls and husband Bobby; grandchildren, Larkyn(10) and London(7) of Apex; mother, Lurene King; mother-in-law, Bell Rose; brother-in-law, Bobby Rose and wife Lorrain; brother-in-law, Todd Rose and wife Wendy; nephews Brandon and Steven Rose of Nashville, NC; as wells as numerous aunts, uncles, and cousins. A funeral service will be held 11am Wednesday, November 8, 2017 at Swift Creek Baptist Church, 9300 Penny Road, Raleigh, NC 27606. Burial will follow the service in the church cemetery. The family will receive friends 6-8pm Tuesday, November 7, 2017 at Apex Funeral Home, 550 W. Williams St, Apex, NC 27502.